BREAKING NEWS: Ark. House Documents Possibly Forged and Con-Con Bill Deferred! Does it seem like he just admitted guilt? Thank you so much, Rep. Drown! CAUTION to our readers: You should check the Committee Agenda yourself before you drive to the Capitol from different parts of the state because they have actually DEFERRED this resolution. HJR 1001 was originally scheduled to be heard in committee on Weds, Jan. 25, 2017, BUT Secure Arkansas JUST learned at 9:30 pm today that as of January 24, 2017 at 3:03 pm, the agenda was updated and HJR 1001 was put on the DEFERRED BILLS list. Does this mean it was simply scheduled for another time and NOT January 25th? This is highly likely to happen because of all the controversy surrounding the bill. Rep. Bob Ballinger (R) from Hindsville (District 97) will be presenting HJR 1001 and carrying this resolution to his own committee, since he is the Chair! APPLYING TO THE UNITED STATES CONGRESS TO CALL A CONVENTION FOR PROPOSING AMENDMENTS PURSUANT TO ARTICLE V OF THE UNITED STATES CONSTITUTION. **HJR 1001 is listed on page 2 of the agenda as DEFERRED which means it most likely WILL NOT be heard on Weds, Jan 25, 2017 but could be heard another day. We are not sure. It appears that the filed documents for both HJR 1001 AND SJR 2 were falsified concerning the co-sponsors! Some of co-sponsors claim they did not co-sponsor the legislation. This possible falsifying of Arkansas official documents should be reported the Arkansas Ethics Commission requesting a full investigation with charges being brought against the individuals and/or organizations involved. So, what can YOU do? Simple! ACTION: Copy and paste the greeting and these bulleted points (shown directly below) into the body of your email to send to the House Committee on State Agencies and Governmental Affairs. (Their email addresses are hyperlinked and all together in a group below.) Just be sure to type your name and the county in which you live at the end of your email to them. You can send ONE email to all of them. I want you to pull your support from HJR 1001 and SJR2 and any other Article V Amendment Convention legislation. AND when these resolutions come to your committee, VOTE NO. There is nothing in the information that you have received from either the American Legislative Exchange Council (ALEC) or the Convention of States (COS) organization pointing to the source authority for the statements those organizations are making about an Article V Amendments Convention. Both the Left and the Right are calling for an Article V Amendments Convention. The ONLY THING that State Legislators can do under an Article V Amendments Convention is CALL for a convention. After that, the U.S. Congress calls all the shots. (See Article I, §8, clause 17 of the U.S. Constitution.) If you don’t believe this is true, please provide the supporting documents to defend your position. Send that to the Committee Members listed below. Copy and paste these email addresses (directly below) into your “TO” in your email to the Committee members. Secure Arkansas has been concerned with the call for an Article V Amendments Convention (and who may be involved in calling for one) for YEARS!! So, we wanted to get more information. Listed below is an Freedom of Information Request we made on Arkansas Bureau of Legislative Research on January 24, 2017. 1) A copy of the American Legislative Exchange Council (ALEC) or any other source document used for the drafting of Senate Joint Resolution SJR 2. 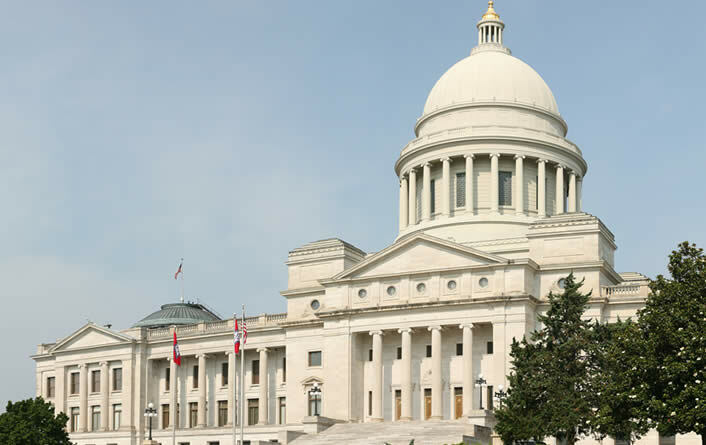 3) A copy of all the Arkansas Legislators that are members of American Legislative Exchange Council or legislative attendees to meetings of the American Legislative Exchange Council. 4) A copy of "The American Legislative Exchange Council (ALEC) State Chair Job Description and Agreement" that was signed by Senator Eddie Joe Williams. 5) A copy of "The American Legislative Exchange Council (ALEC) State Chair Job Description and Agreement" that was signed by Representative Jim Dotson. 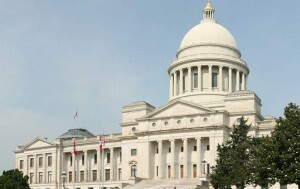 6) A copy of the list of all American Legislative Exchange Council (ALEC) members that are on the Arkansas House State Agencies and Governmental Affairs Committee. 7) A copy of the list of all American Legislative Exchange Council ( ALEC) members that are on the Arkansas Senate State Agencies and Governmental Affairs Committee. 12) A copy of financial expense for all ALEC events that were paid by the State of Arkansas for all years 2014 through 2017. Please note Arkansas Code 25-19-104 Penalty – any person who negligently violates any of the provisions of this chapter shall be guilty of a Class C misdemeanor. And here’s the reply we received from the Bureau of Legislative Research 2 hours after HJR 1001 got deferred. Mr. Abrahamson, I am in receipt of your Freedom of Information request. We are in the process of responding to your request. 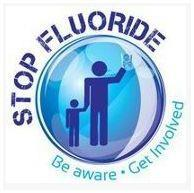 Be sure to go to www.SecureArkansas.com for more information. Use the Search box! Stay tuned! And stay informed!